One of the things that always used to trouble me was what to draw. Of course it is in part down to the inner critic who would shout down almost every suggestion. Too difficult, too boring... no end of excuses to avoid trying. 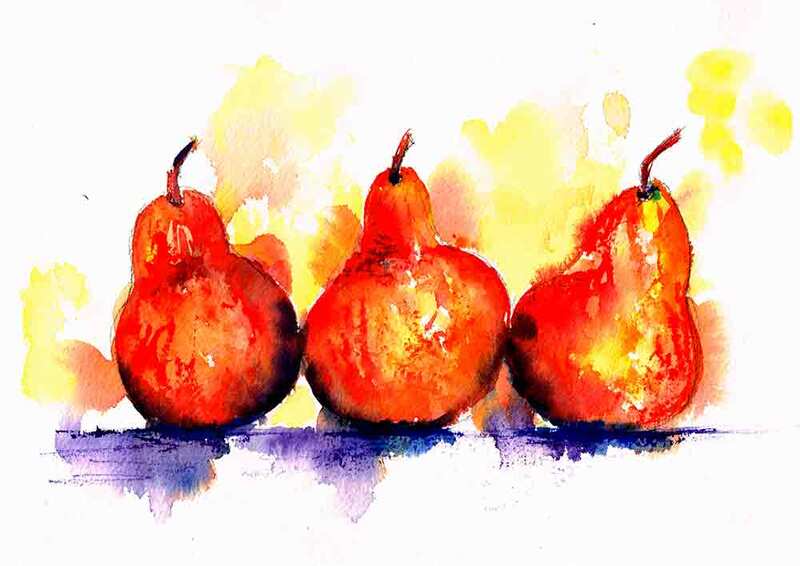 I have seen many drawing books and courses that include fruit... usually an apple or a pear. It made my inner critic yawn. 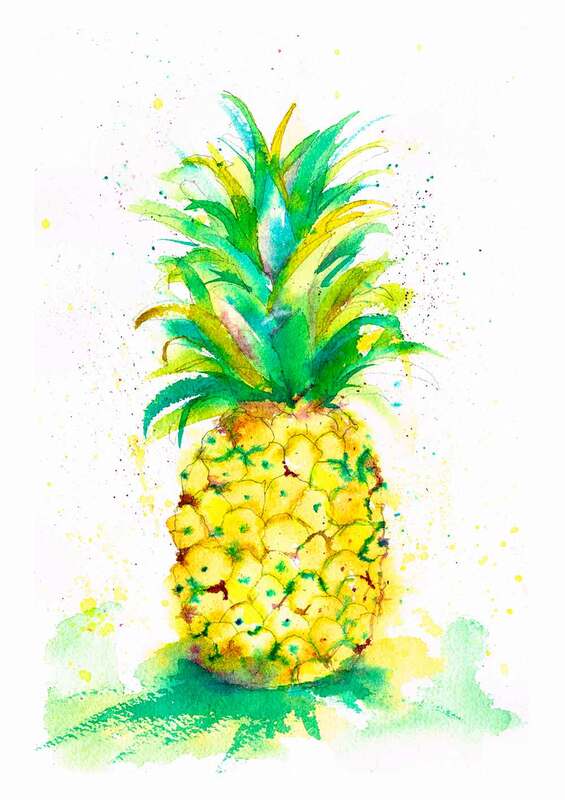 But after a month of fruit paintings I have proved her wrong. The biggest appeal for me is that it is one of those small simple, everyday things that we don't perhaps fully notice or appreciate in the ordinary course of modern life. Sit down and observe it well enough to draw and paint it and you can't help but admire the colour, form and texture of nature's gifts. This for me is a good enough reason to draw anything. if you eat your subject when you are done, who is to say you didn't capture it perfectly? 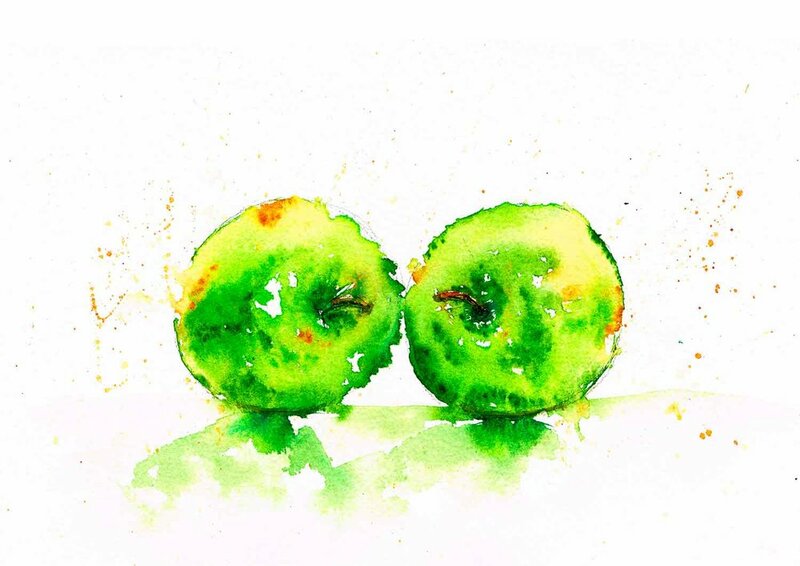 I do think that part of my delight in painting fruit this month was the approach I took with watercolour. I was waxing lyrical about this at the start of the month, when I began the series. Thanks to Andrew Geeson I have been introduced to a way of approaching a watercolour painting that makes me excited about almost any subject. It celebrates the thing that sets watercolour apart from other media - the water. It is quick and fresh and allows for the capture of the essence of a subject rather than the slavish representation of every realistic detail. It embraces the unpredictability of the interaction between pigment and water. 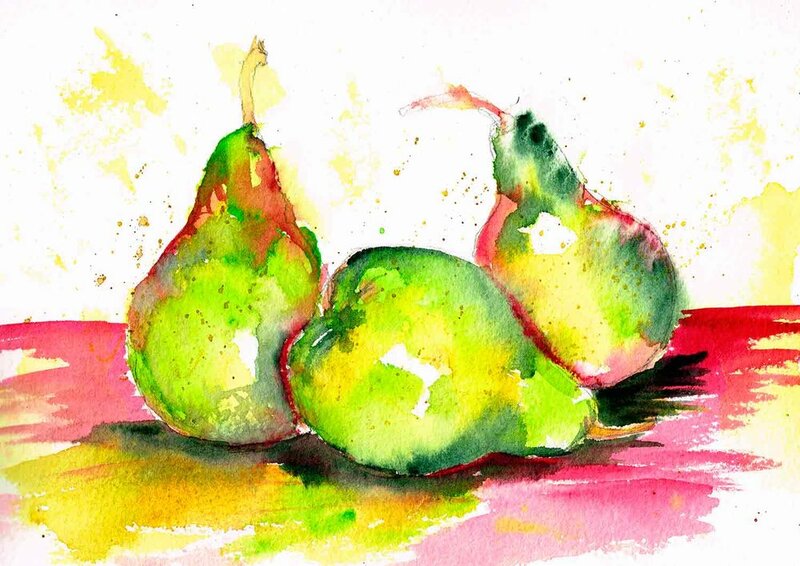 So if you don't know what to draw - please don't discount fruit as a dull subject matter. It presents more opportunities than you might expect from an everyday item. And if you are still stuck for something to draw or paint perhaps taking a new approach such as incorporating a different technique or a new medium will be all you need to breathe excitement into what feels like an old, tired subject. 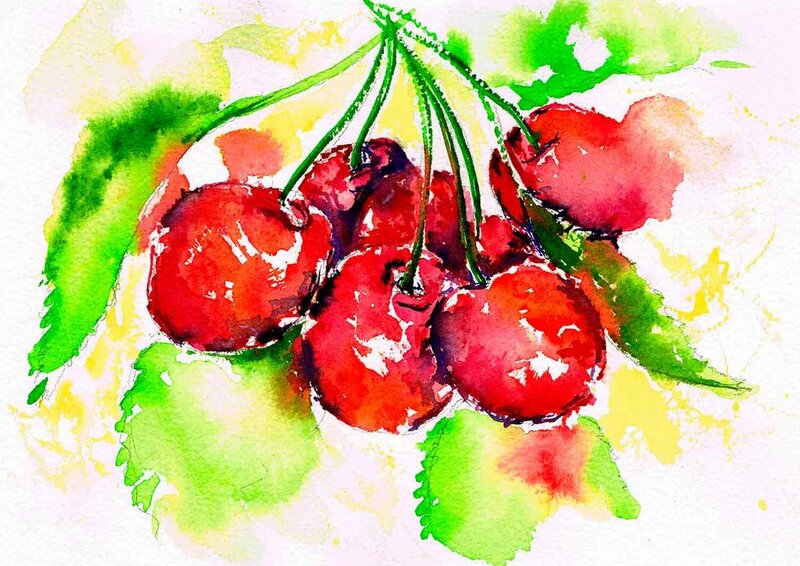 Woo hoo - it's World Watercolour Month!